Ever increasing numbers of drivers are discovering the benefits of driving with a GPS device! Unfortunately, as with most technology available, there is a right way and a wrong way to use the device. Assistance to drivers is provided not only from the fixed devices but all kinds of applications on a variety of devices in the line of sight which could potentially distract the driver! “GPS's have become a very reliable and must have device today. However, it amazes me the placement of these devices on the windscreen. I have seen devices placed in front of the driver mid windscreen, on top of the dash in front of the driver and in the field of vision and some other weird and wonderful places. Motoring bodies confirm that there has been a lack of education for motorists on how to legally fix the GPS devices on a windscreen.  It is not necessarily that drivers are not obeying the law –but more a matter of ignorance of the laws and being unaware of safety concerns about the incorrect placement of the device. Road Safety authorities have raised concerns about the incorrect placement of the GPS device. "There is little doubt that poor placement of a GPS device can, and has, led to crashes in Queensland," Spokesman of the Royal Automobile Club of Queensland, Paul Turner said. The Royal Automobile Club of Queensland has pleaded with the Queensland government to stop drivers from putting GPS units in their field of vision. Concerns have been raised that many drivers are restricting their fields of vision and if you have a child on a bicycle at about bonnet line, the driver can't see in front of the bonnet. Safety concerns are not only on the view or line of sight that may be obstructed. The incorrect placement and improper usage may also result in the driver fiddling with the device while driving leading to further driver distraction and resulting in road crashes. It is important to recognize that the laws are not the same in every country or state. What applies in your country might not be legal when driving in another country. It is the duty of the driver to ensure that he knows the rules of the road of the country in which he is driving! In 2011 Queensland police fined 84 motorists for driving without a clear view in all directions, which carries a $233 penalty. Police could however not say if any fines were for poorly placed GPS units. In some states in the U.S.A, it is illegal to attach a device to the windshield whilst in some other states there are no laws prohibiting the driver from doing so. We also find in some states rather specific legislation prescribing what the legal positioning should be! 26708. (a) (1) A person shall not drive any motor vehicle with any object or material placed, displayed, installed, affixed, or applied upon the windshield or side or rear windows. Apart from the legislation around visibility and visual display units in Regulations 204 & 308B, there are no specific stipulations pertaining to the display of devices on the windshield. (c) driving a double deck bus having a TV monitor. 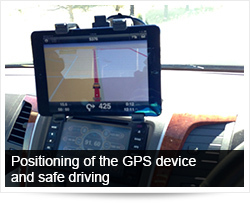 What do the Experts in GPS navigation advise about the placement of the GPS device? “A TomTom device should be placed on your windshield in a position that does not block your view of the road in any way. At the same time, you should be able to optimally use your device. We advise that you mount your TomTom device as low as possible on your windshield. Your TomTom device should not be placed directly under your rear-view mirror. With the Alternative Mount Kit accessory, it is possible to mount your TomTom device in other positions, for example, attached to your dashboard or ventilator. Most safety experts also advise against the placement of the device right in front of their eye line under their rear vision mirror. They advise placing the device either as low as possible on the windscreen or in the corner of the windshield between the driver and the driver side window. This is the most important question. If it is not legal to attach the GPS device to the windshield when driving in a specific area you simply cannot do it! Enquire what the law stipulates and obey the law! If you may not attach the device to the windshield consider using a dashboard mount. Once established what the law stipulates you need to ask whether it is safe to attach and position the device. This will include asking whether you have clear visibility and whether the device will in any way impede with your view to the road and other road users. Keeping your eyes on the road is essential to safe driving. Using a windshield mount that keeps your GPS unit visible--but just below your line of sight for driving is the best advice. It is best to pre-set a destination on the GPS before the vehicle starts moving. In some cases, however, adjustments to the GPS may need to be made while driving. In these situations, make sure that the GPS is mounted within easy access range and in a place where the road is still visible. Making changes to a GPS while driving takes more attention away from the road than simply referring to the unit for turn-by-turn directions. Always consider rather stopping at a safe place to perform changes or ask a passenger to add the new destination or make the changes to the device on your behalf. If legal and the attachment can be performed with safety in mind you also need to consider whether it would be effective and reliable. Will your GPS be able to find a signal and will you be able to find the information without major head and body movement from behind the steering wheel? GPS units require position triangulation via satellites and placing the GPS unit on the dashboard, low on the windshield, or an amount that raises the unit high enough to have an unobstructed view of the windshield will help with GPS reliability.